Hip fractures have significant morbidity in the elderly. Pain can be difficult to control and providers have to balance analgesia with risk of side effects of sedating opioid medications. 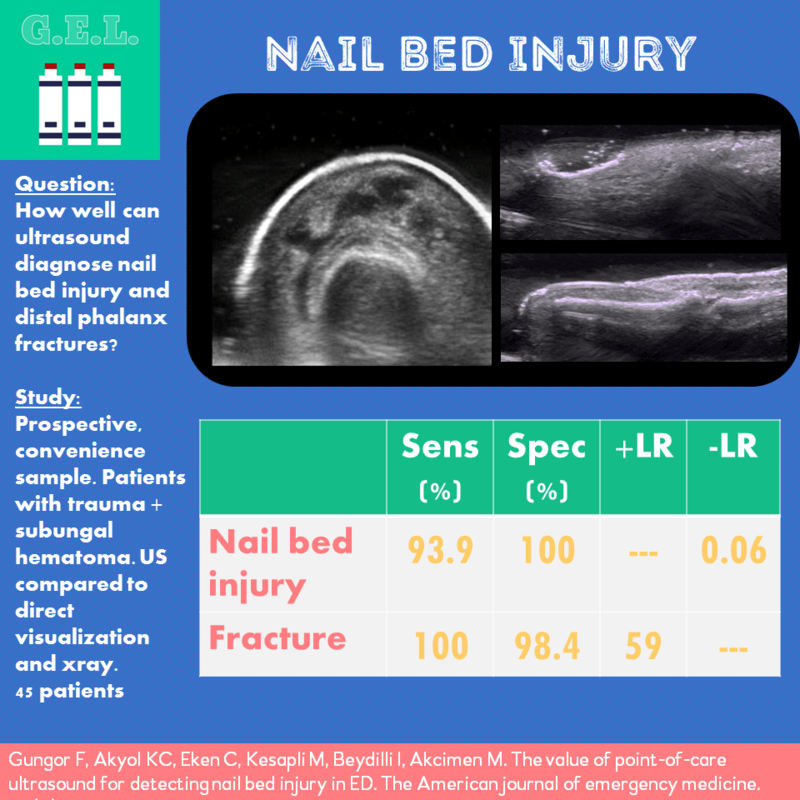 Ultrasound, which allows direct visualization of the nerve and surrounding vessels, has made regional anesthesia feasible for non-anesthesiologists. 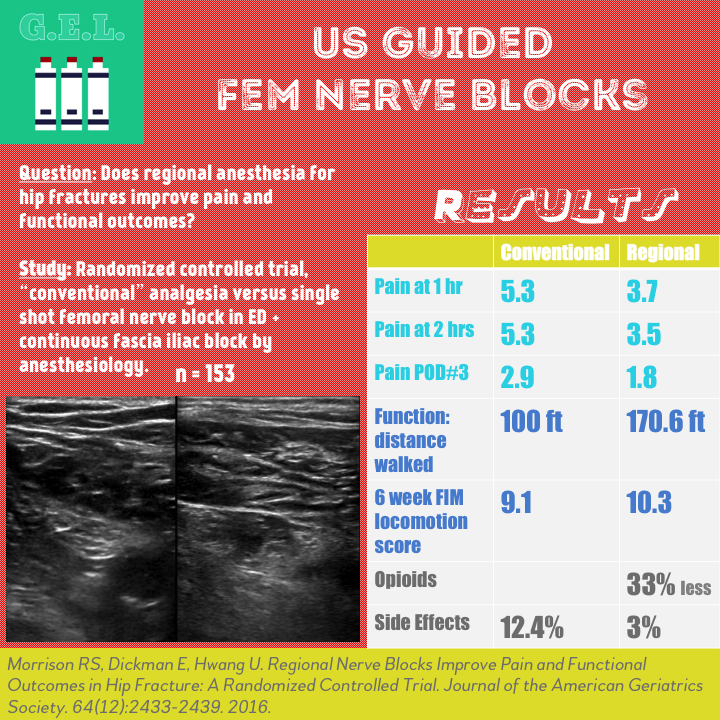 There have been multiple studies showing good pain control in these patients from regional anesthesia such as the femoral nerve block. This study takes it one step further (pun intended) to look at functional outcomes in these patients (in addition to pain control and side effects). 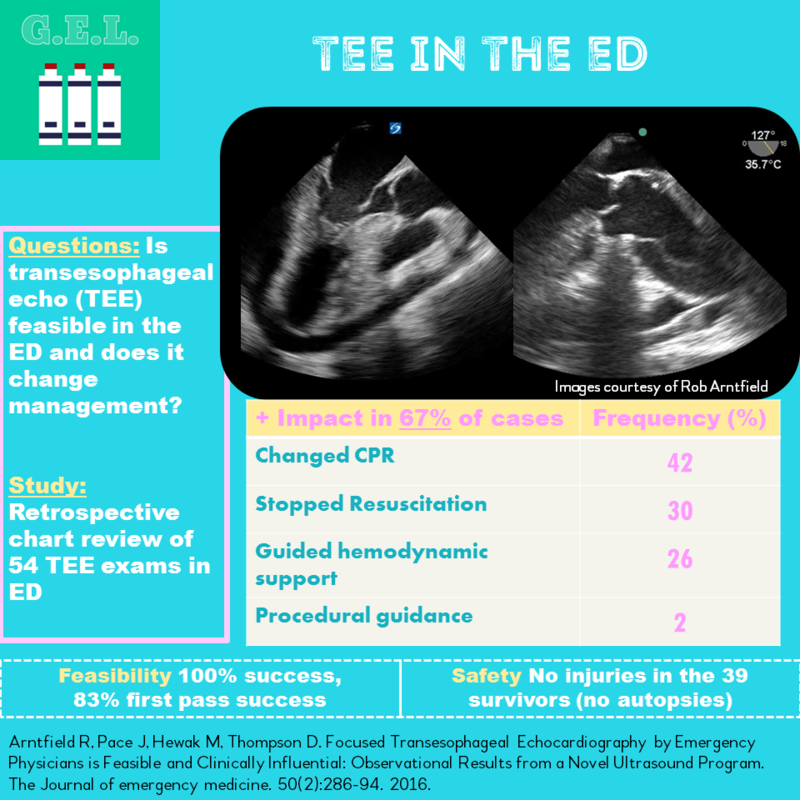 The benefits of transesophageal echocardiography (TEE) have been known a long time. It offers more consistent and superior image quality. However, because it is invasive and requires extra training, it has remained in the hands of specialists. Recently, it has been gaining use in the emergency department for special situations in which it has an advantage over transthoracic echo (TTE). This paper examines one department's experience and shows what TEE can offer.